The Erie Conservation District is proud to bring larger opportunities to students beyond the traditional classroom using hands-on learning and citizen science to connect them with their natural resources. 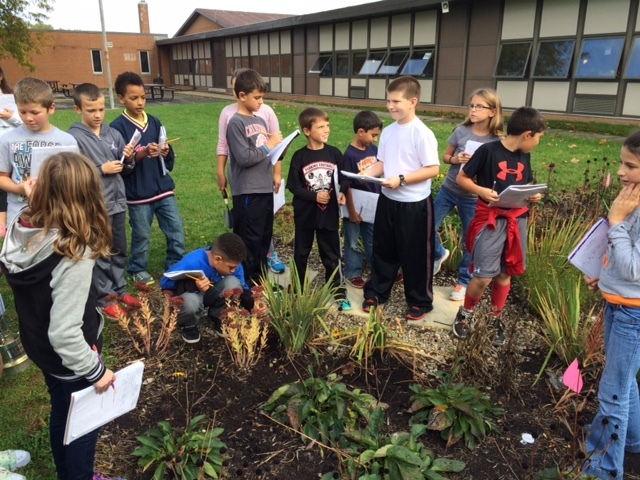 Students and teachers in grades 3 through 8 are working with the Erie Conservation District to learn more about how sustainable gardens can positively impact the environment by collecting and filtering storm water run-off. Rain gardens at Meadowlawn School and Venice Heights Elementary, as well a community garden at Osborne Elementary, are being used to see how to improve local water quality, encourage the growth of native plants and contribute to the health of native insects and birds. 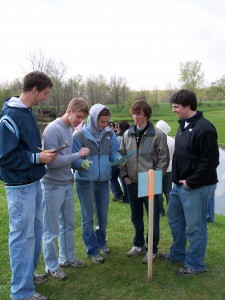 Students collect data on soil composition, compaction, rainfall and infiltration rates. CoCoRaHS is the program the Erie Conservation District uses to obtain rainfall information about Erie County. 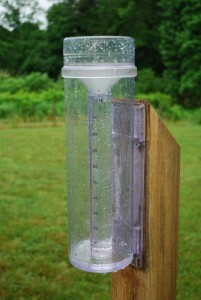 Citizens can volunteer to measure precipitation and report it daily. Once you sign on as a volunteer data collector, training is provided on how to install your instrument, properly measure precipitation and send in reports. The more reporters we have the better. If you have an interest in weather and would like to help your local community, as well as scientists and others interested in precipitation, then CoCoRaHS is for you. It only takes a few minutes a day and gives you the chance to participate in real hands-on science. You’ll be amazed at what you learn as you become more aware of the variable weather that impacts you, your neighbors, your state and our entire country. Volunteers post their daily observations on the CoCoRaHS website at www.cocorahs.org. Observations are immediately available on maps and reports for the public to view. By providing high quality, accurate measurements, the observers are able to supplement existing networks and provide useful results to scientists, resource managers, decision makers and other users. The Global Learning and Observations to Benefit the Environment (GLOBE) Program is an international science and education program that provides students and the public worldwide with the opportunity to participate in data collection and the scientific process, and contribute meaningfully to our understanding of the Earth system and global environment. Vision: A worldwide community of students, teachers, scientists, and citizens working together to better understand, sustain, and improve Earth’s environment at local, regional, and global scales. We are currently working with Sandusky Central Catholic Schools on a project to supply soil moisture data to NASA as part of their Soil Moisture Active Passive (SMAP) Project. And will also be working with Sandusky and Perkins Schools in the near future. The National Archery in the Schools Program (NASP) is a joint venture between state Departments of Education and Wildlife. Several archery equipment manufacturers and organizations are also partners. The program promotes student education, physical education and participation in the life-long sport of archery. The focus of the program is to provide International style target archery training in physical education classes, grades 4-12. 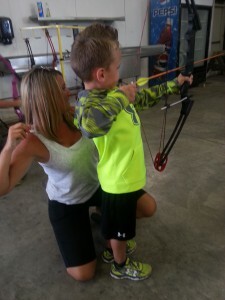 It not only teaches students archery safety, NASP also has the testimony of leaving a lasting, positive effect on their confidence, concentration and self-esteem. The NASP program was first initiated in Kentucky in 2002, with the training of 39 educators at twenty-two middle schools. Ohio followed their lead in 2004, introducing the program initially to 12 pilot schools. Today, the school curriculum is taught in over 600 Ohio schools, the third largest NASP program in the United States. If you have any questions about the program, contact the Wildlife Specialist at the Erie Conservation District or call the Wildlife District Two office in Findlay at 419-424-5000. Call our office at 419-626-5211 with any questions. This website was partially funded through the Randolph J. and Estelle M. Dorn Foundation administered by the Erie County Community Foundation.